Android devices are prone to malware attacks and infections. Malware can get in to your Android device by different sources like free downloading websites, file sharing programs and websites, downloading of cracked applications etc. Whatever the source may be, the working of a malware remains the same i.e. to cause harm to device, steal information, and demand money forcefully. If your device gets infected then you will notice prominent changes in your device like, it will get slower, an increase in the network activity, popups and ads appearing on the screen, and unknown applications installed on your device. We will discuss about the removal of infections from your device. Removal of infections is an easy task. You just have to follow the steps below in order to clean your device without resetting it. The first thing that you should do is to disconnect your mobile from Internet. Disconnecting you mobile from Internet will stop transfer of data from your device to attackers. It is the main step in stopping malware in its tracks. With Internet gone, some malware are useless as they cannot send and receive information from the hackers. Therefore, it is advisable to disconnect the device from Internet. Many malware come with applications which are downloaded from Internet and some applications are downloaded by the malware. These applications should be removed immediately. You can easily identify the applications which are installed without your consent, these applications will be unknown. You can easily remove these applications from the settings. Most of the files that we download from file sharing websites contain malware. These malware execute when we try to open the file. Application packages downloaded over the Internet can also contain malware and once the application is installed it will attack the device. You should remove all unknown and unwanted files that are downloaded over the Internet. This can also be done by using a free malware cleaner for Android. 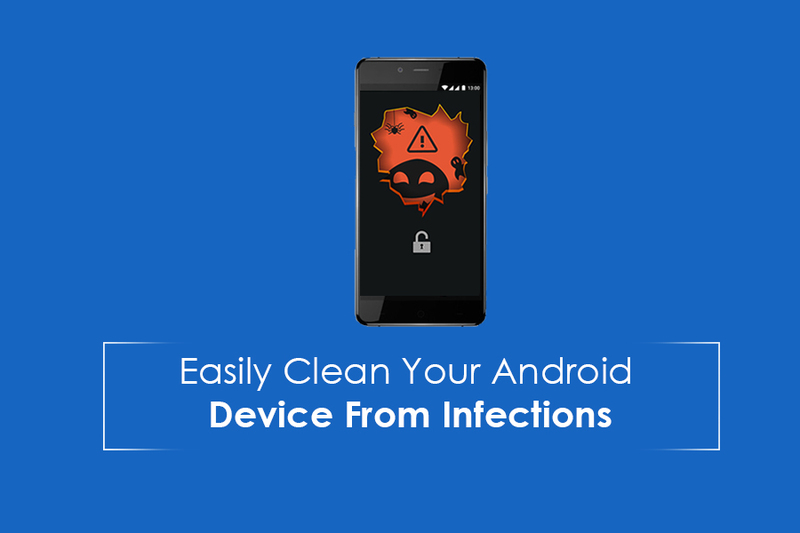 To remove hidden malware infections and completely clean your device, we suggest you use a best antimalware for Android to remove all infections from your device. You can use Systweak Anti-Malware application, a great application that will safeguard your Android mobile and tablet from infections. It’s advanced features, regular updates help in finding and removing all the latest threats efficiently. Systweak Anti-Malware application has real time protection which will remove infection in real time. Keeping your mobile device is very important as all our information is stored on it. The information can be used for any purpose that attacker wants. Once our device is hacked then all the information can be accessed by the attackers. Necessary steps like using a free Android malware protection should be taken to protect the data which is stored on the device. ← Hackers Who Stole 1.2 Billion Euros Finally Arrested!